Grease muffin tins or fill tins with baking cups. In a large bowl, whisk together cornmeal, baking powder and sugar. Add in egg, milk, oil and desired amount of pesto (keep in mind a little bit goes a long way) and mix using a spatula. Fill tins or cups halfway full with cornbread batter. Bake about 20 minutes or until a toothpick inserted in the center of the muffins comes out clean. Allow to cool completely on a cooling rack before eating. Summer is finally here and along with it come long, sunny daylight, cold drinks on the patio, fireworks, walks in the park and a hefty helping of summer comfort food. To me, these Pesto Cornbread Muffins fit the bill for comforting summer fare – they’re not too heavy but still are flavorful enough to satisfy your taste buds in one bite. I would caution you not to make these muffins when you’re in a hurry. These are slow, take-your-time kind of muffins. It’s not that they demand a lot of attention, in fact, they’re very simple to make. For me, these muffins conjure up feelings of slow, lazy summer days – when you want to make something from scratch, but you don’t want to sweat over it. In other words, make these muffins when you’ve got nothing better to do (or when you just need a moment to feel that way). 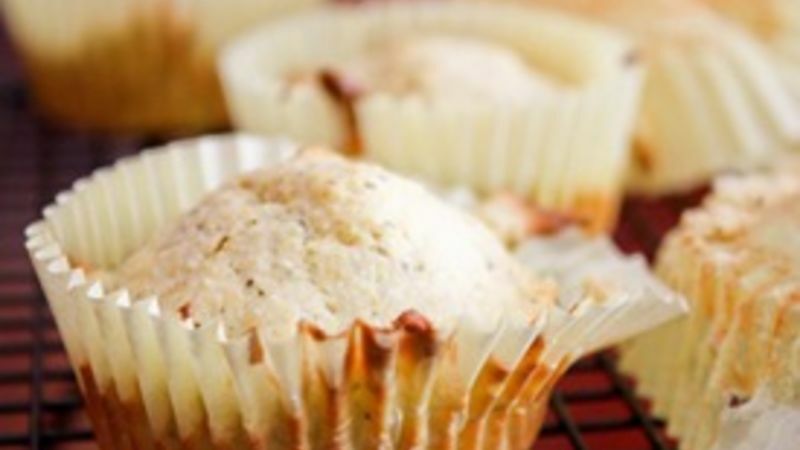 This recipe renders crumbly, dense cornbread muffins. They’re not soft, but they’re not dry or stick to the roof of your mouth, either. The tiny flecks of bright green pesto emit a mild but surprisingly inviting flavor of basil and olive oil. It’s a mix of Southern and Italian cooking, but it’s all comfort. And, as with most things, they’re extra delicious with a pat of butter sandwiched in the middle, a warm summer breeze and good company.